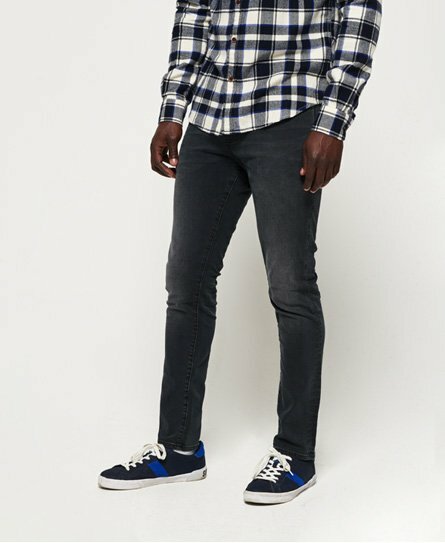 Superdry men’s Tyler slim jeans. These Tyler slim jeans have been inspired from the 1960’s, but have been tailored and reimagined for the modern purpose of today. These slim fitting jeans feature a zip fly fastening, a classic five pocket design and a distressed finish. The Tyler slim jeans also feature a leather Superdry logo patch on the rear of the waistband, an embroidered version of the iconic Superdry logo on the coin pocket and are finished with a logo tab on one of the rear pockets.